I have a confession – I really like containers. I like having a jar, pot or box that is the right size. Although I know that a big container can hold a small amount, I don’t want to use one… I want one that fits the content. 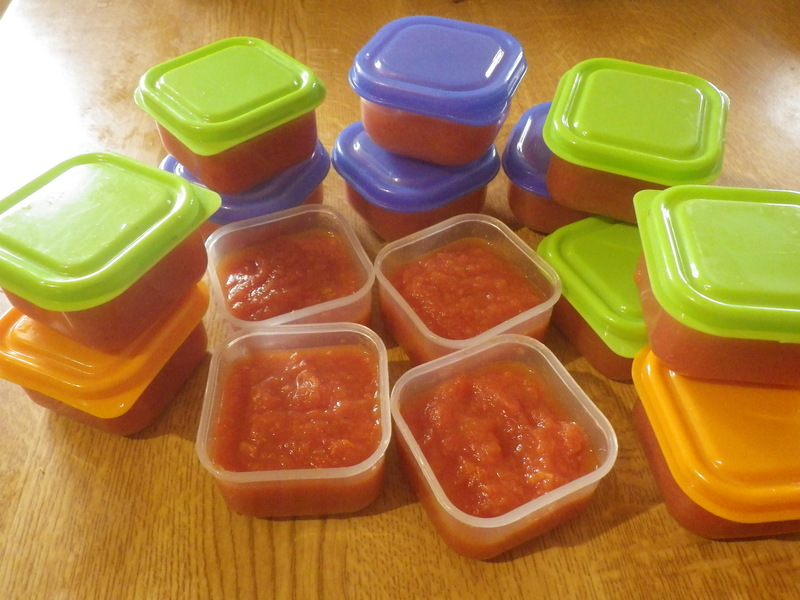 You might have noticed this in my previous post about passata… all those little plastic pots, just the right size for a single portion. I like to have the right pot for the job! Anyway, as a result of this obsession, I have cupboards full of containers. This is great at this time of the year when I want to start storing some of our garden produce. 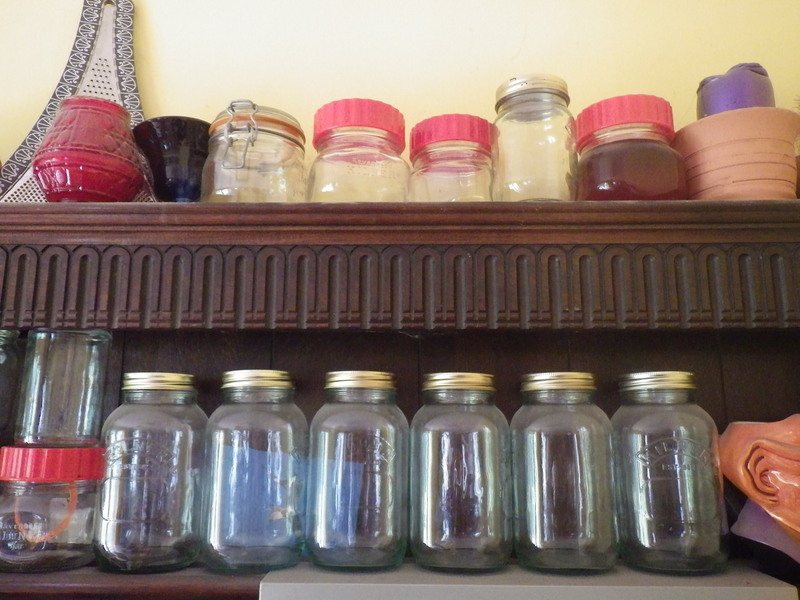 Perhaps my favourites are the Kilner jars… best of all the ones with the screw rings, although I do have some with spring clips. 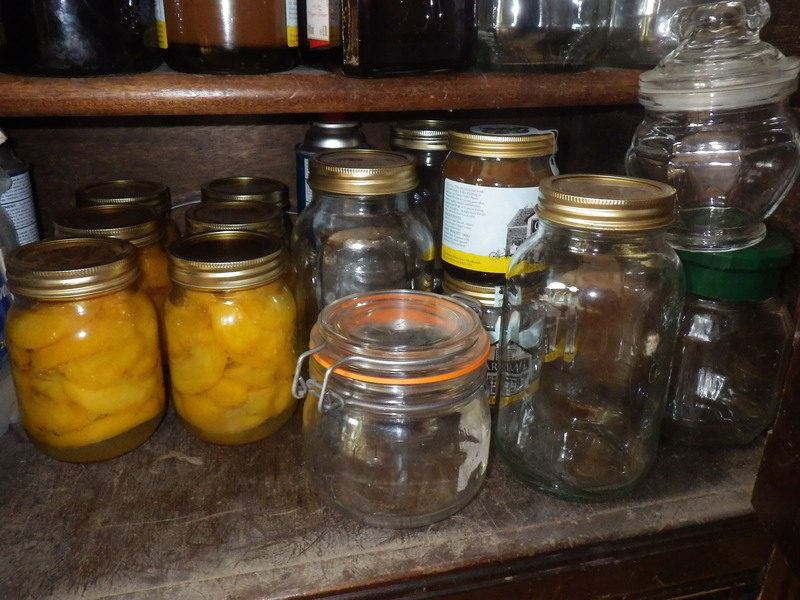 At the moment, the dresser is mostly full of empty jars (apart from the bottled peaches and a little apple jelly), but the great apple harvest of 2013 approaches and so I’m expecting many, many full bottles in the next month or two. I’ve even gone as a far as ordering extra half-litre preserving jars, as I think there isn’t going to be room in the freezer for all the apple puree which, incidentally, I run through the tomato mill rather than sieving it before it goes into the bottles… after all, in permaculture, every element should fulfill more than one function! Hopefully, in the not too distant future I will be posting pictures of these very same bottles full of High Bank apples. The apples come from a friend – we have such a small garden that I don’t row my own apples. Just waiting for the go-ahead to go and collect a car-load of them!